As I was walking through the craft aisle at Michael’s, I found this heart ornament. 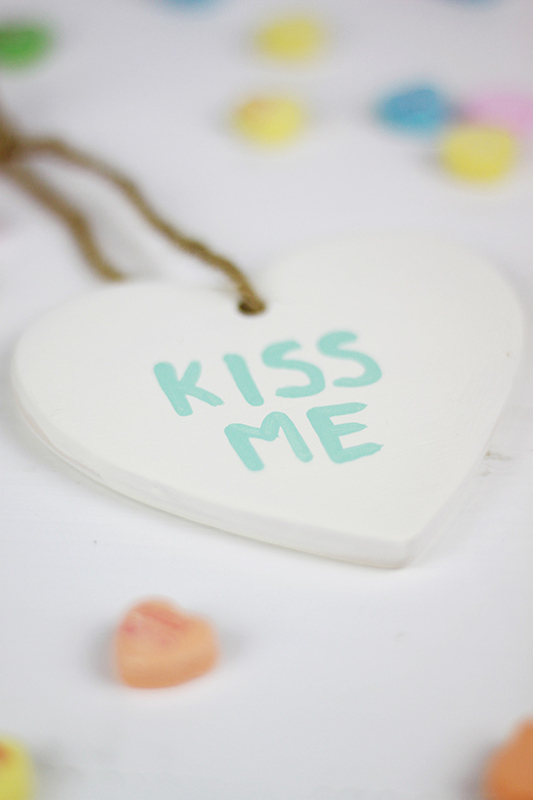 After confessing my love of heart-shaped items, it’s no surprise that I left the store with the ornament in my bag. I played around with the idea of decorating it with a monogram or our wedding date, but in the end, I decided to make a reversible conversation heart ornament. 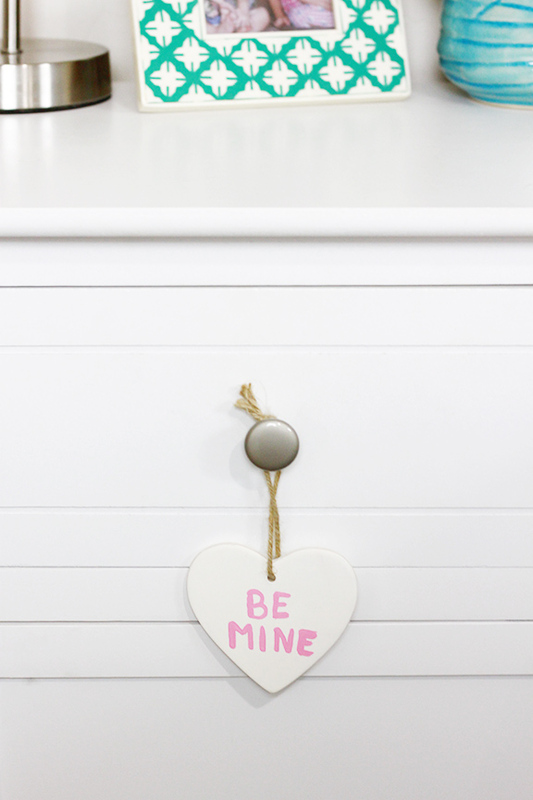 Hung on a door knob, this simple DIY adds a subtle Valentine’s Day touch to your living space. Feel like freshening things up? 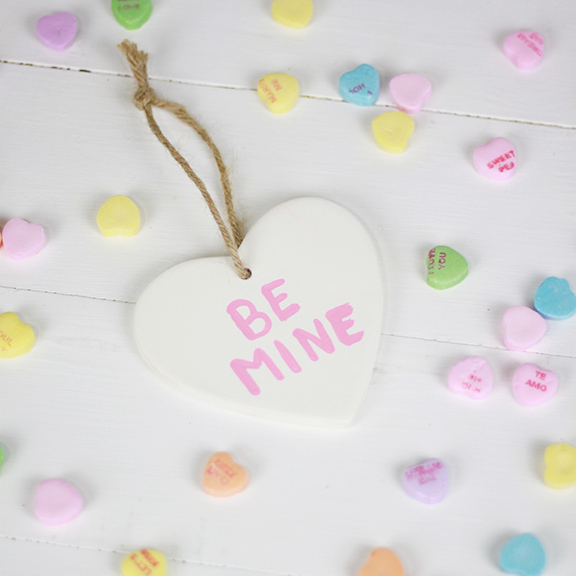 Simply twist the twine around to reveal a second message on the back!